There is no better way to support your Athlete than to help make our Club successful! We have numerous volunteer requirements and no matter if you are shy, outgoing, number oriented or people oriented, we have volunteer opportunities that should appeal to everyone. 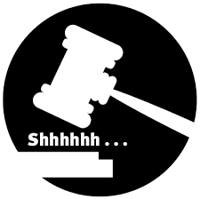 Attend Board Meetings: Share parent & coach concerns, ideas, etc. Communicate accurately and effectively with Parents, Coaches, etc. 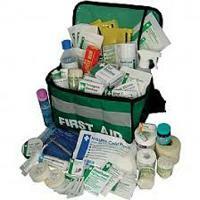 Manage Trainer Bags - maintain adequate medical supplies, replenish, etc. Inventory management of player equipment (helmets, pads, etc). Communicate with Coaches on requirements, issues, etc. Rally parents & players for footage, photos, etc. One of our biggest fundraisers each season is provided from the proceeds of running two Edmonton Eskimo Merchandise Booths at every Home Game. We require Coordinators to contact Volunteers with instructions, meet them at the stadium, provide information, recruit help, problem solve during the game, train the Volunteer, provide change, etc. to our booth staff. We prefer at least 2 liaisons (one for each booth) to share the workload. It can be hectic. 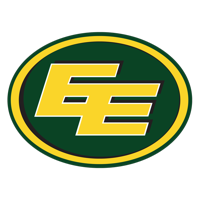 The West Edmonton Raiders are proud partners of our big brothers, the Edmonton Eskimos. We are pleased to be selected (again) as their Merchandise Booth Volunteers for 2018!!! This volunteer opportunity is one of our biggest fundraisers each season and each family is asked to work at least one home game. Duties involve finding sizes, cashier and schmoozing. If you haven't signed up for your shift yet, please see the list in the Clubhouse! In each even numbered year, we host our biggest fundraiser - a Casino. The Coordinator MUST be a member of the Board of Directors, however a Committee will also be needed to fill all shifts. Please volunteer to work a shift at the Casino. The clubhouse is the heart of our Club. It provides refuge, washroom facilities, Raider Apparel and a small dry goods concession for our Players, Coaches, Trainers, Volunteers and Parent Spectators. It is critical that this building is accessible during all Raider Events (practices, games, fun days, etc). Managing the Clubhouse involves answering questions, directing people where / how to get answers, selling concession items, selling Raider Wear, monitoring & advising on inventories, preventing theft, and welcoming our Raider Families. The Atom team is responsible for manning the Clubhouse on Mondays. The Peewee Team mans the Clubhouse on Wednesdays. The Bantam team is responsible for Thursday practices. During Game Season, Bantam families must cover the Peewee game and a Peewee Family must man the Clubhouse during the Bantam game so that all family members can enjoy the game. Schedule the Venue, the snacks, the beverage earnings and coordinate with your Committee to acquire Silent Auction Items. Typically hosted in September, we need a Coordinator to manage the facility, booking and the Committee. The job is not nearly this confining! We need 3 of you for every Home Game. Your job is to run the sticks and the down sign. It's a great way to stay warm during cold games, to get some exercise, and to be close to the action. Your Team may require volunteers sign up in advance, OR, may request volunteers at the Game. Remember, the game can't go on without you. From Fun Days to our Year End banquet, fundraising to Corporate Sponsorship, we need your help to make each season an enjoyable one. Our Events Committee is responsible for all of our fun events as well as our fundraising and sponsorship initiatives. We elect a new Coordinator each season. If you are willing to lead this committee, please let us know. If you are a Company that would like to sponsor the West Edmonton Raiders, please contact us at edmontonraiders@gmail.com or see our Sponsorship tab. We're open to new fundraising and volunteering ideas so please let us know! Have a great idea for our Club?